After a clinical first leg performance at David Farrington Park, a location which is proving one of New Zealand’s most difficult grounds, Team Wellington have set themselves on course to pick up their first regional title along with tickets to the FIFA Club World Cup. But after a 6-0 drubbing away, Lautoka have no intention of letting the visitors rub further salt in their wounds when they welcome them for Leg 2 of the OFC Champions League Final at Churchill Park on Sunday. Throughout the competition Lautoka has continued to build on each performance, coming together as a unit to hold defending champions Auckland City to just a 1-0 win before seeing off both AS Dragon of Tahiti and Marist FC from Solomon Islands, on their way to the final. 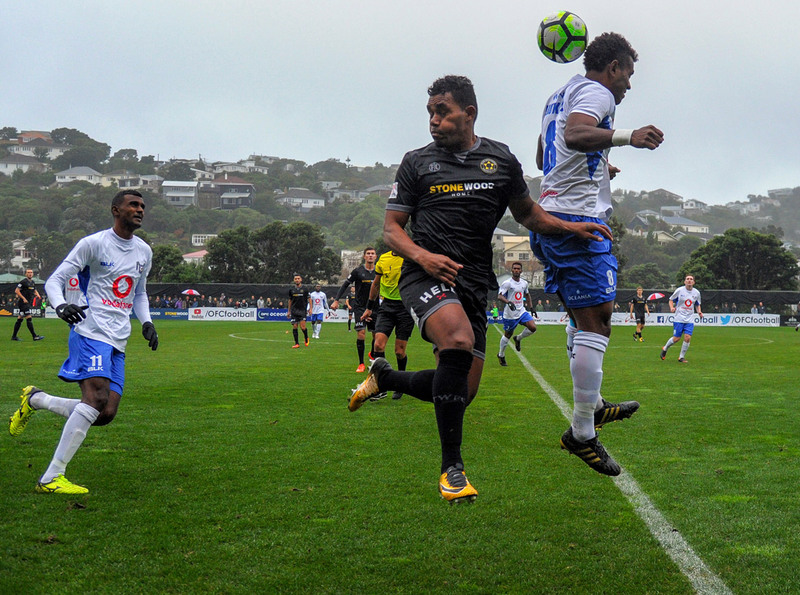 While none of their matches have been high-scoring affairs a solid backline, ably led by Kolinio Sivoki and Brian Kaltack in the centre, had proven hugely effective – until they met Team Wellington’s potent attacking force. Out-matching Lautoka for pace and strength, the side from New Zealand’s capital were able to keep a level of pressure on their opponents which eventually forced them into making errors which they could capitalise on. While Lautoka were able to keep things together for close to an hour, eventually they were worn down, allowing five second half goals which made their bid for the title that much harder. Although to many victory in the second leg seems like an insurmountable task for Lautoka, coach Kamal Swamy still has faith in his squad to pull themselves together and put in the effort required to challenge Team Wellington. “They are able to keep possession for a long time which made us tired and I think that’s something we are going to look at,” Swamy reflected. Swamy said one of the toughest aspects of last Sunday’s result is trying to keep morale in the camp high. “We have talked. We had a meeting with the players and they know the first game was tough, the score line was very big and I think the criticism from fans has been a lot,” he said. “But we have to be focused for the second game because it’s our home game and we have to prove a point. Coming to Lautoka with a six goal cushion certainly wasn’t what Team Wellington coach José Figueira envisioned ahead of the final. However, after a dominant performance at home in which his side showed their desire for the title, that’s exactly what Team Wellington have and although it means they have arrived in Fiji with a certain level of comfort, Figueira said they won’t be taking Leg 2 of the OFC Champions League Final lightly. “You saw from the reaction of the players after the game, of course they were delighted with a great performance and celebrated a good performance, but it was clear to see there was nothing over the top,” Figueira said. “We know that the job isn’t complete yet and this week the players have been really focused and applied themselves really well as they have done all season. Figueira said as a coach he can completely understand the difficulties Lautoka experienced in the First Leg – with suspensions, visa issues and an unfamiliar climate all playing a part in the visitor’s match day performance. “I think they’ll be a tougher team at home,” he said. Lautoka need to score six unanswered goals to force the match into extra time, and seven goals to go clear of their opponents. Anything less than that, and Team Wellington will be booking themselves tickets to their first FIFA Club World Cup. Vital Statistics: If Lautoka can score six goals without conceding any, they will keep themselves in the running for the title. However, having only scored seven goals in seven matches in this competition so far, the task looks like one of the toughest they’ve faced yet. The Players: Benji Totori was the man who looked most likely to find the back of the net for Lautoka and the pressure will be on him to create something on Sunday to help the side achieve their objective. Vital Statistics: Team Wellington have played in three previous OFC Champions League Finals. Justin Gulley was there for Team Wellington’s first final back in 2015 which was also held in Fiji. Scott Basalaj, Mario Barcia and Andy Bevin have been involved in several previous campaigns too. The Players: Roy Kayara has slotted into the Team Wellington line-up with ease since joining from Hienghene Sport in New Caledonia. His performance in the first leg of the final was inspired and his work rate is exceptional.